World famous life coach astrologer JoJo Savard is a one-of-a-kind, flamboyant, colorful, magical spirit, with a super dynamic energy and wisdom that will inspire, guide, awaken and encourage you to your own path of freedom, happiness, perfect health, and true love! Sought-after psychic, T.V. star, public speaker, actress, artist, and author, JoJo is here to help YOU be the best you can be and make all of YOUR dreams come true! "I love you, I kiss you" You know it' JoJo! Words do not do justice to her fascinating spirit, but we will give you a little taste. JoJo hails from the beautiful waters of Quebec City. Born to a marine father, it was no surprise that JoJo started young traveling the world to pursue the Universal Divine Power, which called her on a very special journey. As a small child, she was known as the rainbow-esque blond little fairy doll. But JoJo was born a real fairy, reading people's auras and hands and giving prophetic visions by age six, of course, entertaining the masses long before that with her singing, laughter, and psychic talents. When JoJo was only 5, she had a vision of her tiny two-year-old brother traveling to heaven by train at his coming birthday. Her family thought her to be crazy as she pleaded with them to put him in the closet to keep him safe. Tragically three days later, JoJo's little brother Bernard, was found dead, hit by a train as she had foreseen. This pivotal event was followed by countless predictions in love, finance, health, pop culture, and world affairs by the young JoJo, many predictions proving very accurate. Today JoJo enjoys a 9.5/10 score on all her famous forecasts including the outcome of the elections of world leaders, lottery winners, and the rising and falling of celebrities. Her predictions have been viewed by millions via her own television show JoJo Live, infomercials, personalized astrology lines, cellular telephone horoscope video programs, monthly and yearly prediction books, news paper columns, and prominent national news and talk shows. JoJo is a certified life coach and expert in astrology, palmistry, numerology, self-healing, wellness, body language, Feng shui, numerology, color and crystal therapy. She is also a member of the New York and Canadian Academy of Astrology, making many guest appearances on national television and radio, and gives conferences on the power of positive thinking, self-awareness, meditation and the empowering wisdom of the universal laws. JoJo always expresses out loud' that life is perfect' that everything is energy and nothing dies, that behind the clouds there's always a bright sunshine. But most importantly as she learned early in life, "that in life, there are no problems. only solutions, when we face our fears and step up, the greatest things happen". During the conclusion of JoJo's Bachelor of Fine Arts studies, she decided to go on a trip around the world on her own in which she worked as a psychic, card & hand reader, model, and artist. Her journey, however, was interrupted in a life-changing motorcycle accident, which left her in a 3-week coma and pronounced dead. That's right - dead. But the gifted JoJo woke up on the way to the hospital morgue, however, not before an enlightening out-of-body experience, which allowed her to freely travel the Galaxy and connect with the God Force's omnipresent and loving energy. "I was in a state of bliss with no judgment no guilt. I was simply an observer" she recalls. "It profoundly deepened my awareness that everything is spirit, that love connects each and everything. The heart is to man, what the sun is to the Galaxy, what God is to the Universe." After healing from the accident, JoJo pursued her quest and gifts in Bombay, India, where she completed her astrology, palmistry, and meditation studies at the Swami J. Institute. She also studied with many great masters and organizations such as Deepak Chopra, Michel Benner, Tony Robins, Chris Howard, Alan Oken, The Silver Mind, A Course in Miracles, Life Extension Healing Center and many others. And long before the The Secret, JoJo was promoting the philosophy of positive thinking by her famous lines: "You create your reality by the way you think, speak and feel. Life is perfect. Every one is perfect when seen through the eyes of the soul. Everything is energy and love. Nothing dies and all is possible! As children of the great creator, we also can create miracles in our lives and manifest our wildest dreams." 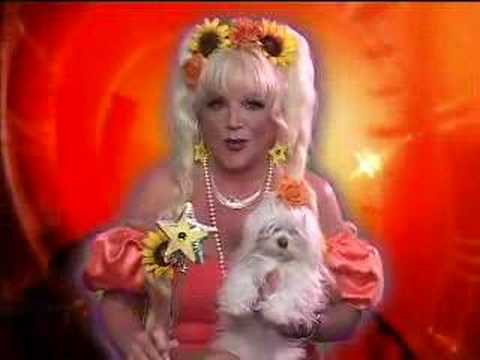 In California, JoJo is available for personal readings and performs as Astro Barbie at personal or corporate social events. You can contact JoJo on her site for Skype personal readings with scheduled appointments.